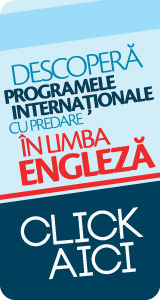 The Romanian-American University is part of the Romanian-American Foundation for the Promotion of Education and Culture, having as a purpose the promotion of the educational values of the American high education on the background of the rich traditions of the Romanian education which are internationally recognized. Within the context of the university reform and of Romanias integration process in the European Union, the introduction of the European dimension, matching of the curricula, the compliance with the European standards, promotion of the academic performance criteria internationally recognized, the interuniversity cooperation, academic mobility and the recognition of the studies and diplomas are among the strategic objectives of the Romanian-American University. The Romanian-American University considers it to be its duty of honor to meet the requests of all those interested to complete their professional preparation and offer its support to those who decide to attend the courses of one of its 6 faculties and master. We have taken important steps that have allowed us to present a different type of educational offer on the market of educational services, by adopting a system based on two levels: license and master. I want all our students and teaching staff to be proud of being part of the academic community of the Romanian-American University, and our graduates to contribute, through integrity and professional competence, to the development of the prestige of our institution in our country and abroad.